This is one of the first ads I did as a student. It's pretty janky, but it comes from a good place, so I'm never taking it down. My Dad has been a construction worker for over twenty-five years, he went to school for two years and is a licensed contractor. However, society would never consider him a professional. He would also never spend four dollars on a cup of coffee. Skilled labor still has a negative social stigma attached to it in this country. So does affordable, mass produced coffee found in mechanic's offices all across America. 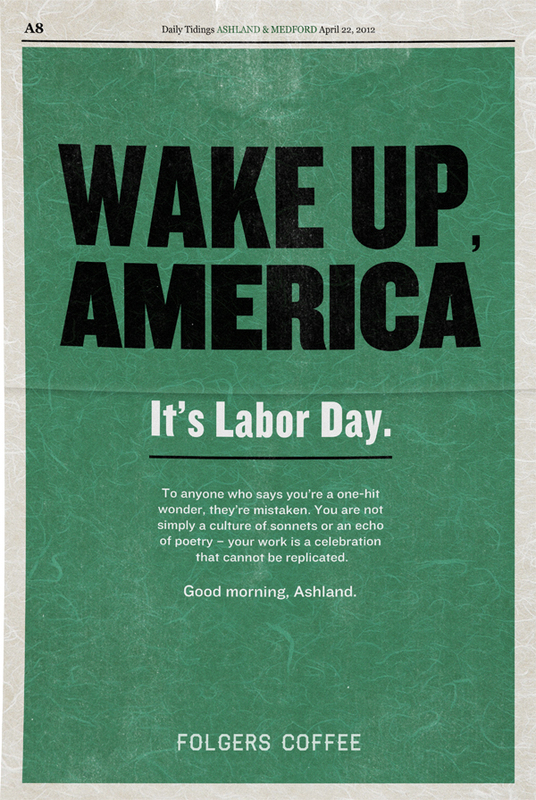 Wake Up America, It's Labor Day. 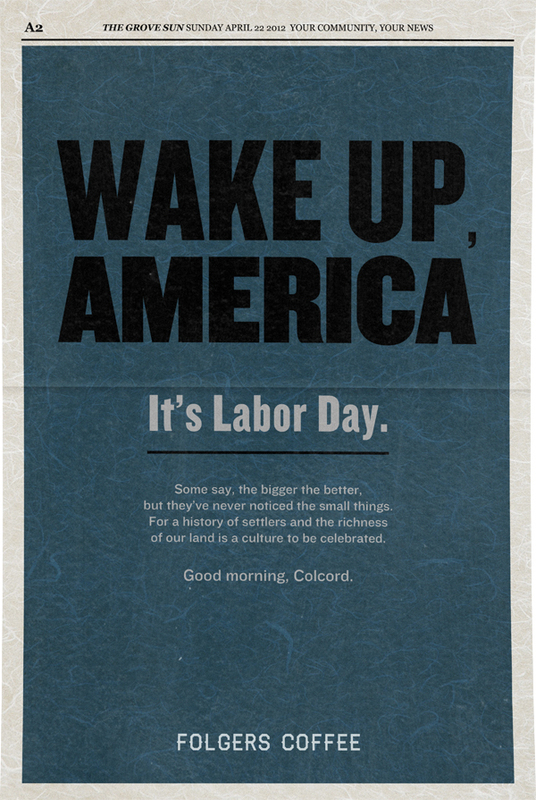 For 365 days we'll run a region specific newspaper ad that celebrate's that city's specific skilled labor heritage. People work and get their hands dirty for the moments the moments that really matter. Click to expand.